Updated Saturday May 19, 2018 by Tim Dodge. Description: The Edgemere Sparrows Point Recreation Council has initiated a program called Friends of Fort Howard Park. The intent of the program is to improve the park grounds, expand the range of activities, and to make visitors aware of the historical significance of the property.Some of the proposed enhancements for the park include historical panels at each of the surviving gun batteries, guided walking tours, marked trails and volunteer service opportunities. 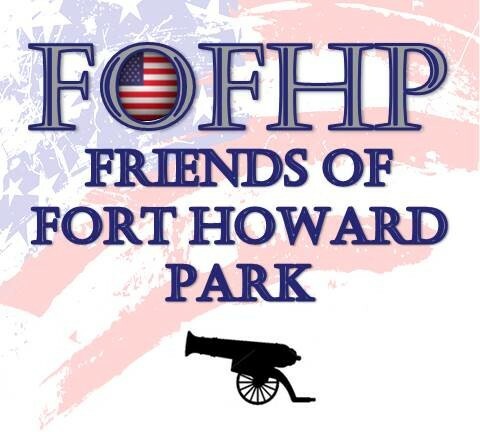 If you are interested in finding out more about Friends of Fort Howard Park or if you have suggestions for other ways to improve the park, please contact the program committee at 410-887-7529 or email at rfs1920@hotmail.com. The first project the program took on was the posting of a historical panel in the park's bulletin board. We got it designed, printed, approved by the council, and posted in December. It describes the purpose and construction of the fort as an army coastal defense installation back at the turn of the last century.We'd like to erect similar panels at various locations in the park highlighting the gun batteries and other aspects of the fort's history. Click on the files below to see some of the panels and the Fort Howard Park walk-thru guide.